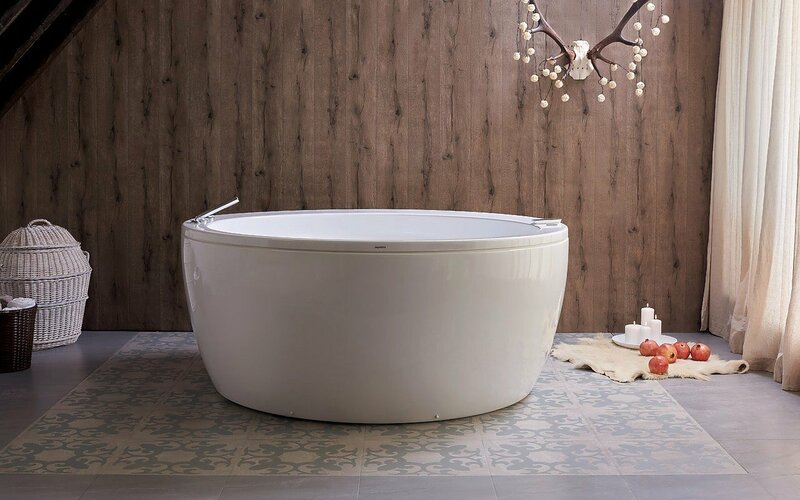 If you’re looking for that in-home spa feeling in your bathroom, then this Pamela-Wht Relax bathtub is the perfect fit! This round shaped, freestanding acrylic bathtub has a modern and superbly simple but contemporary design, and is now available in our air massage version. The tub’s strong and freestanding construction is supported by a built-in metal base frame and adjustable-height metal legs. Designed and constructed in Italy using only the best of premium acrylic, this tub’s thickness provides for excellent heat retention and durability to ensure your baths are hotter longer. 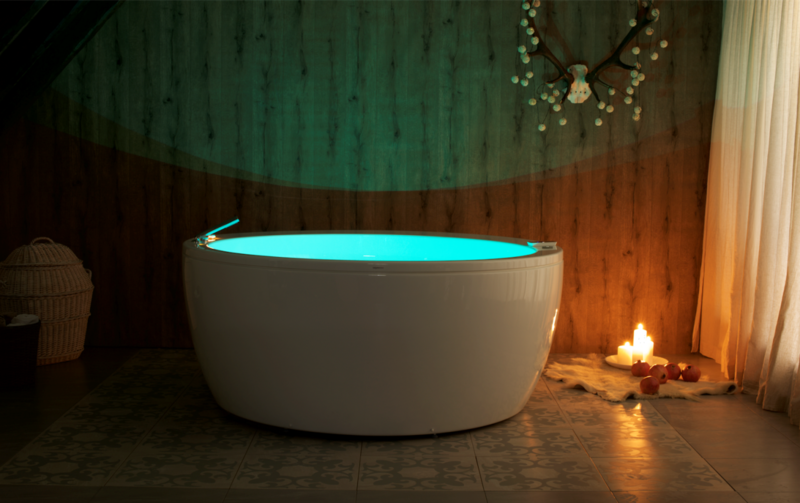 The extra deep craft of this circular tub and thousands of healthy bubbles combined with mood setting LED Chromotherapy system, allows for a truly unique experience. A bathtub designed uniquely for full-body soaks, relaxing the body and mind and created with more than enough space for two bathers to comfortably enjoy. 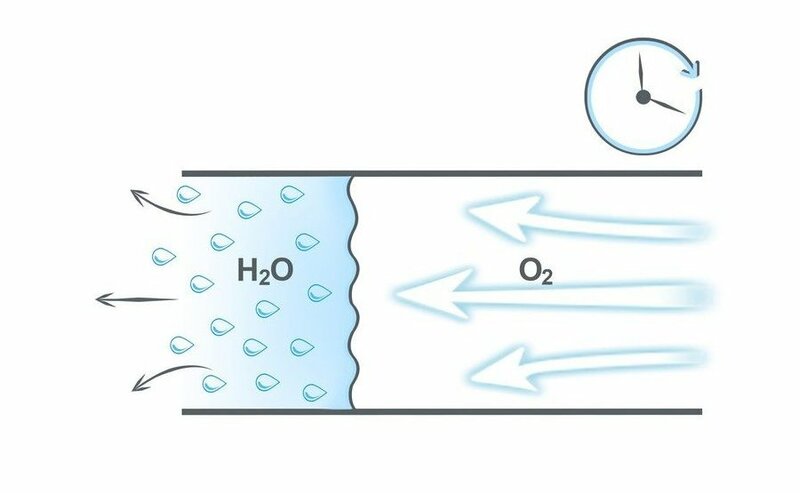 The Pamela Relax is equipped with the proprietary cUPC certified waste-overflow system, UL certified blowers, RGB LED lights, ozone disinfection and automatic purge systems. The combination of warm air massage, ozone disinfection, dry run protection, powerful but quiet blower and self-closing air jets are among the key features that make this tub one of the best on the market right now.